Avon Material Supplies is a leading supplier of grab lorries in the Bournemouth and Poole area. Our grab lorry prices are very competitive and we can often provide a same day service Monday to Friday. Our modern grab fleet includes 4, 6 and 8 wheeled grab lorries and can be hired by tradesman, contractors and members of the public throughout the BH postcode area. Need a Grab Lorry today? Call 01202 579579 for our best prices. Read on for information on the areas we cover, waste streams we collection and the carrying capacities of each of our grab trucks. To help you choose the ideal AMS grab truck, please see the below for approximate carrying capacities and reaches for each size vehicle. 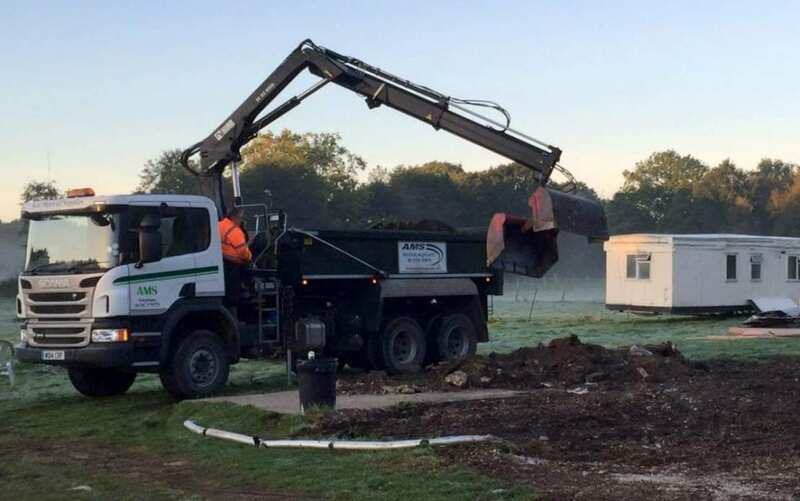 Collected waste is often disposed of at Canford Recycling Centre, which is a specialist recycling facility that recycles almost 100% of the inert waste it receives. If you are unsure what size grab lorry hire service to buy to collect your waste, please contact our friendly sales team on 01202 579579. 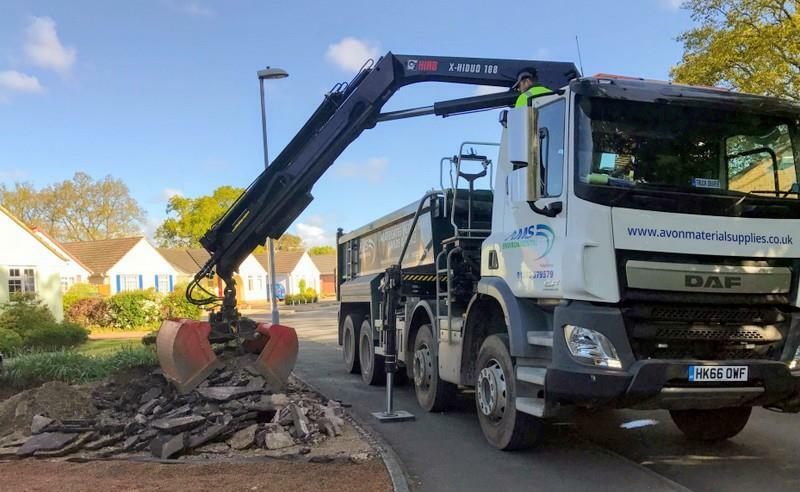 In addition to collecting waste, our grab lorries are also able to deliver a full range of primary and recycled Dorset aggregates throughout Dorset and Southampton. For more information please call 01202 579579 or visit our aggregates page.